Watercolor Workshop on Philippine Native Trees and Flowers | Cynthia, inside. Breaking radio silence to invite you to my first workshop of 2019 (actually, my first workshop in almost 3 years. :D)! What exactly are the freebies? 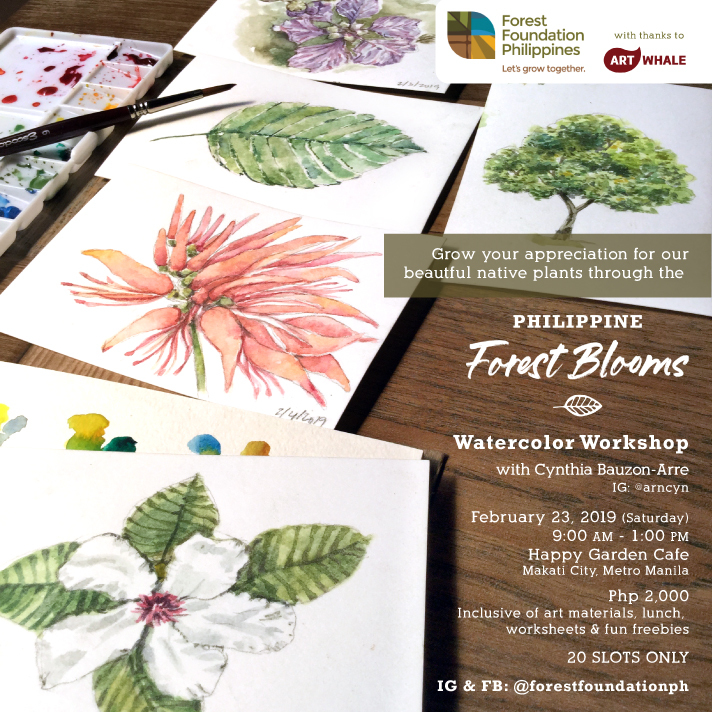 Each participant gets a premium Escoda watercolor brush + my handpicked artist grade Holbein and ShinHan paints (all from ArtWhale, squeezed in a take-home palette), fine art watercolor paper, a copy of our ForestBloomsPh Planner, Forest Blooms notebook and tote bag, and a Forest Foundation BFF Bambler!